When it comes to travel and holidays, there are those of us who consider ourselves tourists, and those who think of ourselves more as travellers. Whilst for some, the perfect holiday is returning to a favourite resort year after year, relaxing in the sunshine with everything around us immediately to hand and familiar, others are more intrepid in their taste for adventure and crave exploration a little more off the beaten track. World Travel Blog has always been committed to discovering those roads less travelled, which can always be found even in the most popular of tourist spots, and our anecdotal advice and articles are aimed at providing some insight into how such endeavours are best undertaken. But sometimes, for some trips, a specialist is needed, and that’s what has led us to launch our Travel Company of the Year Award this year. Choosing our first winner hasn’t been easy – there are many agents in the market today offering a wide range of trips to suit varying budgets. We’ve been rigorous in our selection, though, and scored each of our shortlisted operators on the areas which matter most, namely quality of the itineraries on offer, overall value of holidays, how well organised the trips are and, all importantly, how knowledgable the staff and representatives are about your chosen destination. 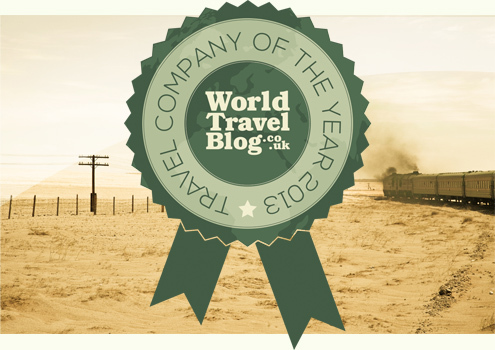 Feedback has been gleaned from not only the World Travel Blog team, but also independent reports from individuals and groups who have used these companies first hand. Regent Holidays have been chosen for their unquestionable product knowledge, their willingness to be of assistance both before and after booking, and during the holiday itself, the friendliness of their team of experts, the fantastic choice of locations available, the overall exceptional value and for having innovation in spades. So, congratulations guys – this award is not given out easily, and you should be very proud. Long may you continue to provide the excellent service you do!